From San Francisco to Los Angeles in 30 minutes train? Hyperloop. Just in case you missed this news. 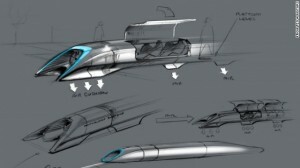 Why spend more money on a high speed train copying other countries already invented technology, why not have our own system that is better and twice faster and off course look space age and futuristic. Just look the picture below, you will see that it’s the future. Anyhow this news is about spending money to construct a high speed train from San Francisco to Los Angeles fast, but still that’s copying other countries already have technology. 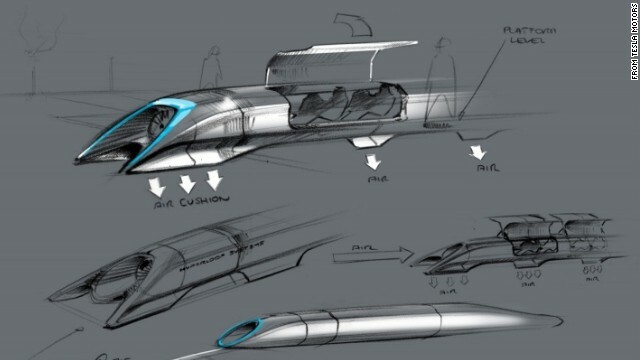 My personal opinion is this idea of a tube travel is a lot better and I believe it use a lot less power maybe and more comfortable on top of that in 30 minutes, versus hours. Off course there will have to be a lot of test and approval required needed. But – I think we definitely need to look into this and carry on with it, if American want to be the leader in technology or at least perform some technology advance ideas such as this one. By the way, the idea was from a space agency not tied to the government, independent. This entry was posted in Cars, Entertainment, Finance, Politics, Science, Travel by admin. Bookmark the permalink.